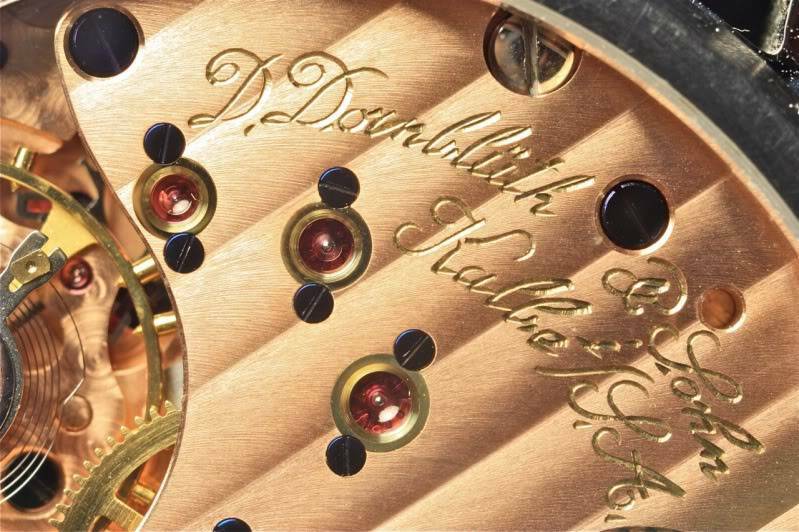 Couple of photos of Dornblüth 99.1 movement details using a Rodenstock 6 element 50mm enlarging lens with extension tubes on a Canon 450D. Thanks Dunk, for those beautiful shots. dornblogger wrote: Thanks Dunk, for those beautiful shots. 'Some screws look as if the slots have been compromised and I noticed the same anomaly myself when first saw the photos. However, when viewed through a loupe under a light the screw slots look fine. There are reflections 'at play' particularly the large screw which is partly hidden under the edge of the case back. The illumination used for the photo was far from ideal and was more Q&D than scientific hence light was spilling and reflecting in all directions. On the large screw there are reflections from the edge of the case back going down onto parts of the slot which result in the screw slot showing an apparent loss of integrity - but I can assure you it is caused by demon reflections and the actual screw slot is perfect. I am planning to take some more photos of the same movement using different lighting ... maybe using coaxial lighting via a beam splitter which will be 90 degree lighting and penetrate all the screw slots. Please also bear in mind that the watch has a display back hence is being photographed through the glass of same - which also compromises the lighting. Coaxial lighting should make a much better job of the lighting. 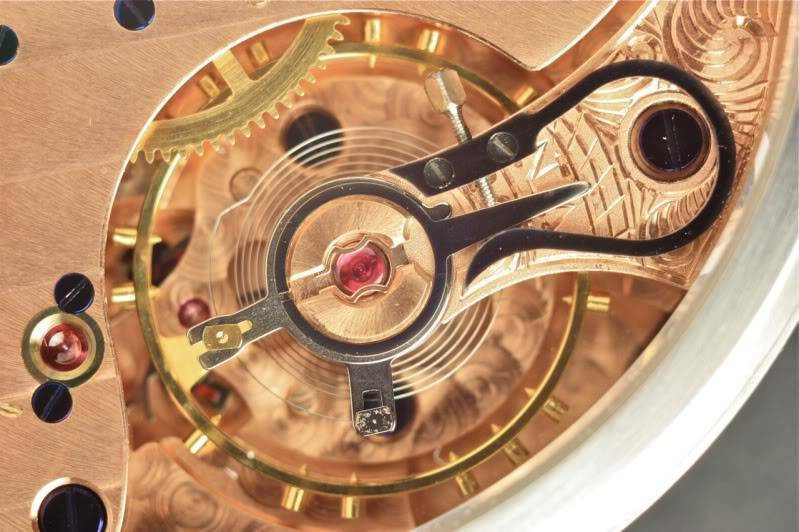 I wish I had a DSLR camera with a video facility so that the action of the hairspring could be recorded - it is just like a heart beating. I may ask a colleague if he can video it for me.